There’s no shortage of great furniture stores and showrooms in Dallas, Texas. Whether you’re searching for custom furniture, designer furniture, or value-priced furniture, you have plenty of options. So many, in fact, that by the time you visit them all, the furniture you liked in the first stores you were at might not even be there anymore. This highlights the dilemma faced by Dallas furniture shoppers. With so many good options, you just don’t always have time to consider them all before making your decision. So, how’s a person supposed to make a smart choice when they’re shopping for furniture in Dallas? Instead of sitting in every different chair in the city, it’s a good idea to narrow down your search to a few likely prospects by focusing in on a few key aspects of the furniture you’re looking for. For instance, if you want to buy your kid a table for their college apartment, you might want to focus on value-priced furniture. But if you want to buy your new family a table that will last until your kids go to college or longer, it’s a better move to seek out custom furniture that’s built to last. To help you find the furniture you need without making dozens of trips, here are some things to pay attention to when choosing between Dallas furniture stores and showrooms. First and foremost, try narrowing your search by the level of quality you’re looking for in your furniture. If the furniture you’re looking for is for temporary use or isn’t intended to be on display, you’ll likely find what you need at a value-priced furniture store. If you’re looking for higher quality furniture, consider designer furniture options. The highest quality furniture, built to last and look amazing for generations to come, will come from custom furniture makers. The overall quality of a piece of furniture depends primarily on a few factors, notably materials and craftsmanship. Materials. 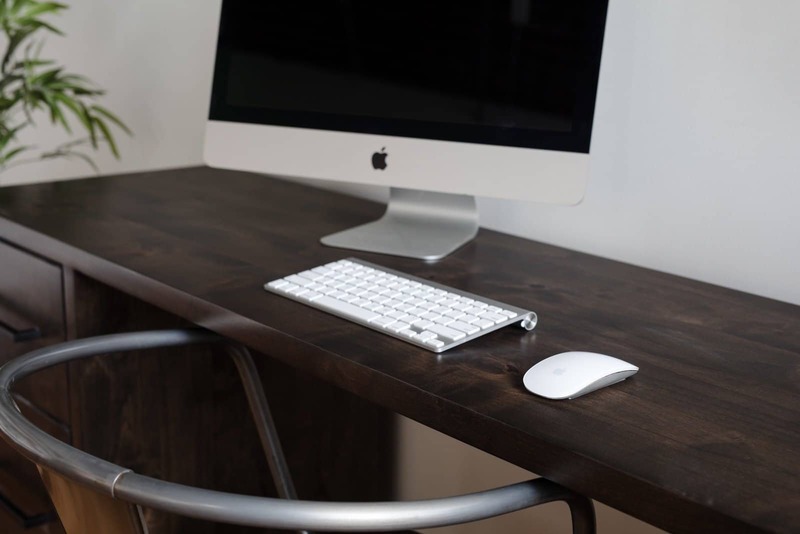 Lower quality furniture will be made from lower quality materials, such as manufactured woods like plywood or particle board, light metals, or plastics. Higher quality furniture will be made of solid hardwood or, in the case of more modern furniture, stronger metals and glass. Not only do better materials increase the durability of furniture, they also just look better. Craftsmanship. The level of care and attention put into the creation of a piece of furniture helps determine its quality. 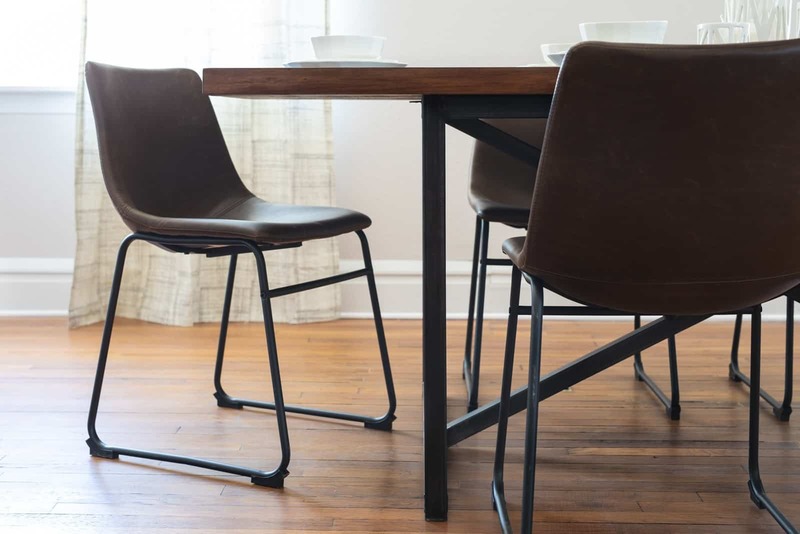 Mass-produced furniture, built as quickly as possible, is less likely to hold up than custom-built furniture, which has been worked on by hand with careful attention to detail. Once you’ve focused in on the level of quality you’re looking for in your next table, bed, desk, or bookcase, the next question to ask is—what sort of style fits your home or office best? Furniture styles vary widely, from plush antiques to sleek creations that are perfect for ultra-modern homes. The right style furniture for you depends on your personal taste, and also on the other pieces of furniture and decorations that will share space with your new piece. It’s okay to mix and match styles in your home, so long as each piece works to complement and balance the rest. In contrast, if all your decorations trend in a single direction, be it bohemian, western, or modern, adding a single new piece in a different style can muddle the tone of the room. Style can also be influenced by how long you hope to keep your piece of furniture. While a highly stylized coffee table may be trendy and of-the-moment today, it can seem hopelessly out of date twenty years later when it’s still in your living room. The bolder the stylistic choice, the shorter its shelf life is likely to be. To find furniture stores and showrooms with pieces which will complement your existing furnishings, search for furniture stores in Dallas online and browse their websites. Most furniture stores will have plenty of pictures of their different pieces, giving you a good idea of what you’ll be walking into before you ever get in the car. If you make a short list of stores you like, you can visit a few in succession, without spending time driving to stores which don’t match your taste. Of course, the best way to make sure a piece of furniture will complement your furnishings is to have it custom built. Some furniture makers will even come out to your home for an in-person consultation and provide you with many options to choose from. It isn’t the 80s anymore, and it isn’t always all about the bottom line. Sorry, Wall Street—community matters, and values are important. If you’ve narrowed down the list of furniture stores you like to a couple of options, but are going back and forth between a few pieces, consider the impact of your purchase on your community. Are you buying from a local business, or a multinational conglomerate? Do any of the stores you’re looking at donate to Dallas schools, non-profits, or community members in need? Where do the materials they use in their furniture come from—sustainably logged American timber stands, or clear-cuts in an equatorial rain forest? While this information won’t be stamped on every piece of furniture you look at, some of it will be published on the websites of each store. You can find out more about a store’s reputation by talking to their employees as well, both directly by asking questions and indirectly by noticing if they seem like they’re happy to be at work. Stores with longstanding community ties will come to be recommended by other people in the area, such as your co-workers, or other parents you carpool with. Dallas is a great city, filled with wonderful people; if you keep your eyes peeled, you can improve your home with new furniture at the same time you improve your community. At the end of the day, finding the right furniture for your home comes down to knowing where to look. 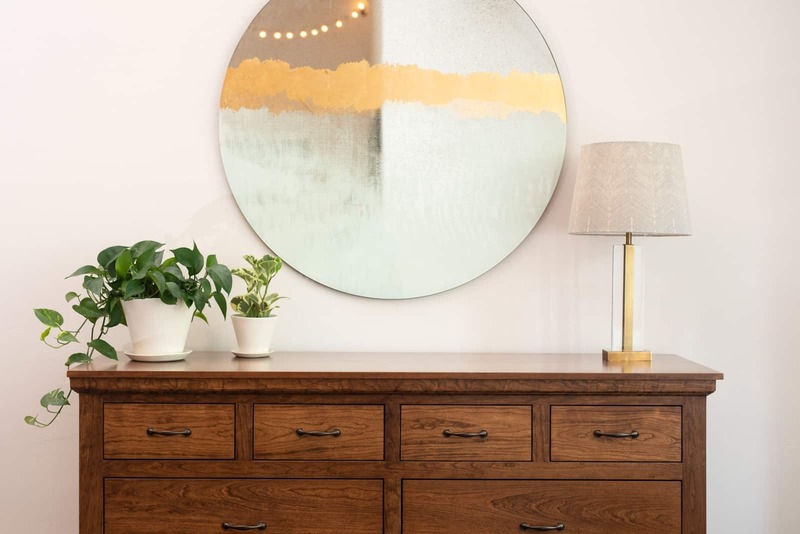 By doing a little research online and via word of mouth before you go shopping, you’ll be able to find furniture stores and showrooms in Dallas that offer the quality, style, and values that matter to you. At Unruh Furniture, we pay loving attention to each aspect of the solid, high-quality custom hardwood furniture we create. We strive for timeless style, and put in extra effort to ensure we give back to great city where we work. To find the perfect piece of furniture for your taste, schedule a visit to our Dallas showroom today. Image 2: Our custom Dufare Desk is a great addition to your Dallas office. Image 3: Every time you look at a dresser like our Augustine, you can feel proud of buying furniture that matches your values. Carly moved to Kansas City from Colorado 13 years ago, and while she loves the coffee and food scene, her passion is in design and transforming spaces, with over 15 years of experience in the industry.